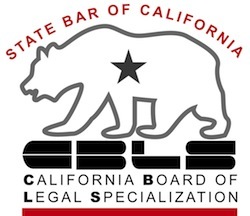 A bankruptcy case nominally about travel trailers, ATV’s, and a car for a an adult child gets my vote as the most important bankruptcy decision of 2013 for Californians. When the 9th Circuit decided Welsh, it told us, and Chapter 13 trustees, that you take your Chapter 13 debtors as you find them. If you are a person filing a Chapter 13, it’s OK to have a house the Chapter 13 trustee deems “too grand”, or debts secured by things the trustee thinks “unnecessary”. Welsh upheld the importance of the means test implemented by Congress in 2005. The means test purports to calculate what unsecured creditors are entitled to get through a Chapter 13 plan. If the proposed plan meets the means test figure for a distribution to unsecured creditors, says Welsh, the debtor doesn’t have to stop paying secured creditors for “luxury” items in order to pay unsecureds more. The facts in Welsh are all too common. The Welsh’s lived in rural Montana. They had a car loan for a car driven by an adult daughter as well as loans on the two cars driven by the debtors. They lived in a $400,000 home in Missoula Montana. The opinion doesn’t tell us what the average home there costs, but the trustee clearly felt the home was too up scale for people who were in bankruptcy. Then, there were two ATV’s and an Airstream trailer, each subject to a secured loan. And, given the way the means test is laid out, the future payments on all of those loans, for house, vehicles, and recreational trailer, were deductions from the Welsh’s income. After the means test calculation subtracted the loan payments, there was only about $200 a month left to pay to unsecured creditors through the plan. And that, argued the Chapter 13 trustee, was evidence that the debtors lacked the “good faith” necessary to get court confirmation of their plan. They were keeping the big house and the toys at the expense of the unsecured creditors. The 9th Circuit’s decision says clearly that it is not bad faith to deduct from available income the debt service on secured loans existing when the case is filed. The very formula that Congress wrote to determine whether unsecured creditors are being treated fairly bars adding an additional test of “good faith” to the results of the formula. Congress didn’t distinguish between “good” or “permissible” secured debt and secured debt for luxuries or toys. Welsh also stands, in my mind, for equal treatment of secured creditors. Bankruptcy treats secured creditors better than unsecured creditors, without a doubt. But the line of cases that threatens Chapter 7 debtors with dismissal if they propose to keep a big house subject to a mortgage seems to attack the interests of the lender who made the mortgage loan. In Chapter 13, the threat was that retaining non essential items subject to secured loans was evidence that the plan wasn’t proposed in good faith. In a rush to punish the debtor for having “too much house”, these trustees and courts seem to insist on harming the secured lenders. Welsh now clearly says that the bankruptcy system isn’t going to push debtors to default on secured debt as the price of bankruptcy relief. The take away from Welsh is that debtors have choices about secured debts. While Chapter 13 allows them to surrender the collateral for secured loans that they can’t afford or no longer want, it does not require them to do so. Welsh should also get trustees out of the business of being the life-style police, deciding how much house or how nice a car a debtor can have and still get bankruptcy relief. I will still be asking clients questions about whether it’s smart to keep all the “stuff”, but my client and I will be secure that in Chapter 13 in California at least, the court won’t be asking those questions. My colleague Jon Brooks named the 9th Circuit’s decision in Flores as his most important case of 2013. He wasn’t as happy with Flores as I am with Welsh. Image courtesy of Flickr and Stephen Hill.